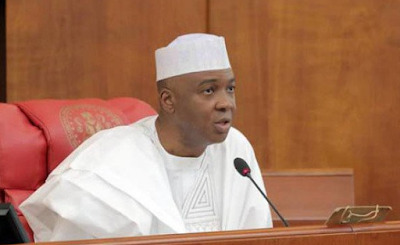 The Senate President, Bukola Saraki, has lamented that the National Assembly is grappling with funding constraints in carrying out its statutory functions. According to a statement by his special assistant on print media, Chuks Okocha, the senate president said this when he paid a visit to the chairman and members of the National Assembly Service Commission at its temporary office located in Utako, Abuja, on Wednesday. In response to a request by the chairman of NASC, Adamu Fika, to have a permanent office of the commission inside the National Assembly complex, Mr. Saraki pledged his support towards the project, while noting that adequate funding remains the major challenge of the National Assembly.